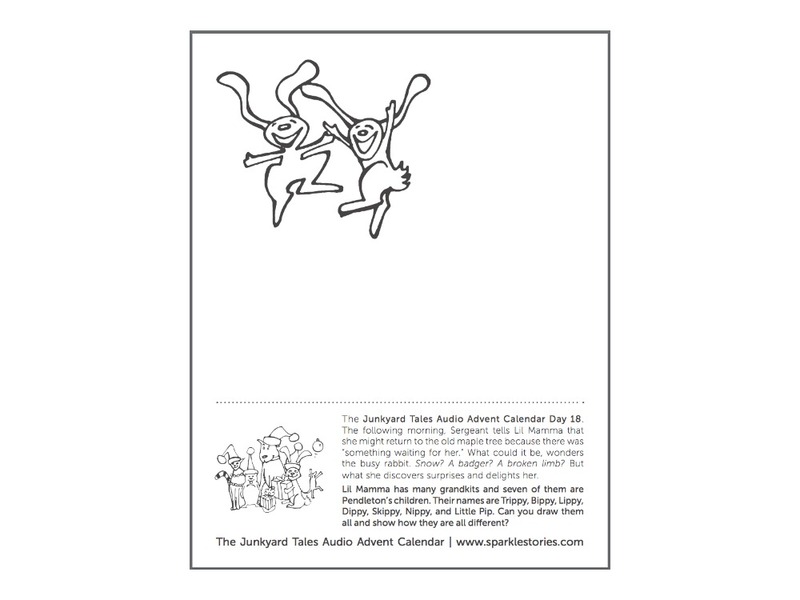 The Junkyard Tales Audio Advent Calendar Day 18. The following morning, Sergeant tells Lil Mamma that she might return to the old maple tree because there was “something waiting for her.” What could it be, wonders the busy rabbit. Snow? A badger? A broken limb? But what she discovers surprises and delights her. Lil Mamma has many grandkits and seven of them are Pendleton’s children. Their names are Trippy, Bippy, Lippy, Dippy, Skippy, Nippy, and Little Pip. Can you draw them all and show how they are all different? Down Load the Printable Coloring Page HERE.